We have compiled a list of experienced product management professionals with a track record for success — and they are all women. With backgrounds in engineering, marketing and business, some of them are also founders of their own companies. Spread across the Asia and Pacific region, they not only have day jobs in product management, but also often write blogs, teach, and/or organise events for the community. Who else should be added to this list? Let us know on twitter! Mina Radhakrishnan has been at Google, Modcloth and was the first product manager for UBER. Her interviews on Product Management are a must watch! She is currently running a startup in Australia and lecturing on product management for INSEAD. Watch her Keynote from Product Management Festival on marketplaces. Lalitha Ramani is a Senior Product Director at WalmartLabs. She has been in product management for the past 15 years, at prominent companies like Wipro and Intuit. She started her career as a software engineer. 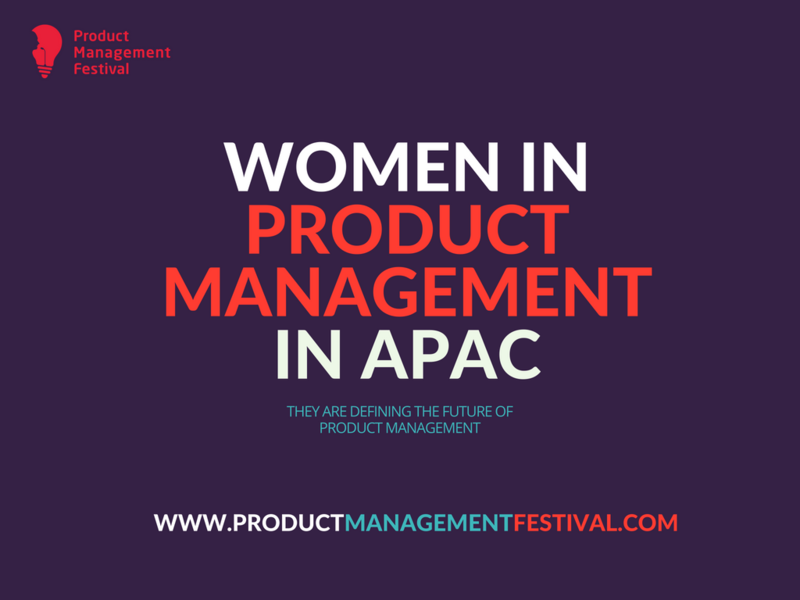 Lalitha will speak at the upcoming edition of Product Management Festival in Singapore. Silvia Thom is Senior Director Product Management at ZALORA Group for 5 years and she is co-organising Product Tank Singapore. Deepa Rajan is a Product Manager at Oracle India. She has been with Microsoft and holds an industrial engineering degree. An entrepreneur with an INSEAD MBA degree, Anuradha Vasudeva is currently working for Grab, a company which attracts a lot of product talent in Singapore. She started as a news producer, moved into product, became a trainer and then CEO of Brainmates: Jen Marshall runs Leading the Product, the biggest product event in Australia. Petra Gross has held many product leading positions and has been a speaker at WomeninProduct. Currently she is the Chief Product Officer at MedicalDirector in Sydney. Author of 3 books, Principal Product Manager at Amazon and founder of an association for helping children, Disha Chhabra is an example to us all. With 5 years experience in delivering B2B and B2C products, Katherine Barrett is also a fantastic speaker: she will be on the stage of Product Management Festival in Singapore talking about the tedious task of removing product features. Saranya Watanapakapon is the Senior Vice President of Product Management at HSBC and has been working in product management for more than 10 years. Started as a software engineer and then switched to Product Management, Chonnikan (Ni) Siripattananukulchai was a co-founder of the first Board Game café in Thailand providing more than 100 international board games. Currently she is VP-Head of Product Management at Central Group. With a degree from MIT and an MBA from London Business School, Aroonrath (Jane) Sangalungkarn is the Chief Product Officer at LINE MOBILE (Thailand). Marina Dolgova is currently Chief Product Officer at RunCPA. Prior to that, she was in the Bitcoin space, working as a product manager at CoinTelegraph. Working in AI and an engineer of profession, Zainab Millwala Master is a Senior Product Manager at Uniphore Software Systems. Starting her career early as Vice President of AIESEC during her studies, Soumya Kapoor is a Product Manager at JPMorgan Chase in India. Elizabeth Griffiths is a Product Manager at Campaign Monitor & Women in Product Community Organiser in Australia. She is Head of Product at 1st Group, co-organizes Women in Product and runs Product Book Club in Australia; there is little Ivy Hornibrook can’t do. After working for Google, Avina Kantaatmadja is currently Head of Partner Product at RedDoorz in Malaysia. With extensive experience in product, Jasbir Kaur heads the Product and Marketing Department at Valyou, a division of Telenor, and is one of the core members of the management team. With a degree in electrical engineering, Ivy Wan is Head of Product at iMoney Group in Malaysia. Cindy Gottinger is the Head of Product Marketing, Admob & DoubleClick, China at Google. Prior to Google, she has also held a position as Brand Manager at Skoda. With a background in tourism, Yuying Liao has held several product management positions and is currently Head of Product Innovation, Thomas Cook in Shanghai. With a degree in technopreneurship, Vanessa Tan is Head of Product Marketing at Xiaomi Global and has held several product positions including one at Tech in Asia, the biggest tech website and conference in the area. Berry Yang started as an engineer, worked in BI for ebay and is Chief Product Officer at CreditX in Shanghai. Staying in the same company is sometimes a challenge, but Jennie Xie has shined in her career at Citi, now as their Head Of Digital Product. Responsible for New Market Development in the Greater China region, Grace Chan is the SVP Head of Core Product, China at Mastercard. Li Xu is Head Of Product Management at SAP Anywhere in China. Aliah Abdullah holds a degree in economics and is Head of Product Management at PETRONAS in Kuala Lumpur, Malaysia. Nyoman Puspitasari has held numerous product positions in the banking industry and is now SVP, Head of Product Development at Bank QNB Indonesia. Holder of an MBA from Shanghai Jiao Tong University (top 10% of her class), Margareta Wong is the Head of Card Product Management at Citi in Indonesia. Jungsoon Kang is Chief Product Manager in Korea at ElmTree for an important product we use everyday: soap. A mentor for people who look for a career change, Shakira Kavanagh is the Head of Marketing and Product at WOBB, a job platform in Malaysia. Deepika Rudra Murthy has a background in engineering and now is a Product Manager, Monetization at Viki in Singapore. Jen Leibhart has been doing a lot in products in the land Down Under: she worked as a Senior Product Manager for EF, co-founded Product Anonymous and serves as a Senior Product Manager/Emerging Products at Australia Post. If you seek inspiration, look no further: Adrienne Tan is one of the biggest names in product in Australia. She has her own product training company and started Leading the Product, the Australian conference for product managers. After working for Spotify, Charmaine Chua is currently Head of Product at Love, Bonito in Singapore. Yee Won Nyon has been working in product for Shopee and now is at Grab in Singapore. Did we miss somebody? Let us know on twitter!